The role of the ΚΚΕ in the struggle for women's equality and their contemporary needs. In the struggle for women's equality and the contemporary needs of women, in the unrelenting class struggle, leading women communists emerged as cadres of the global revolutionary labour movement. 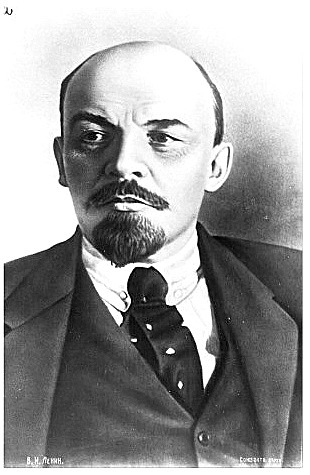 They gained their impetus from their understanding and deep conviction in the goal of their struggle for the abolition of the exploitation of man by man. Their example highlights the need to prepare a vanguard of communist women, utilizing the practical example of the communist women in social, political activity, in the workplaces, universities, in the family. It reflects the need of the CP and the Communist Youth Organization to act as a vanguard everyday in the struggle for the needs of women today, from young girls to the elderly, for equality and social liberation, for the strengthening of women's participation in the class struggle and their promotion in the organs of the labour-people's movement, in the mass organizations. This means there are related tasks for all the CPs to integrate the woman question into the ideological, political and organizational mass activity of the party in a consistent way. This specialized ideological, political intervention of the party amongst sections of women with class criteria must be based on inner-party work in the organs of the CP and CY, in the party organizations so that the political positions of the party are understood in combination with its view on the woman question. More specifically, the effort to promote women cadres from the working class, the work to prepare young women in the party must be engaged with. So that these women are better equipped when they start a family to deal with the new problems and their participation in the movement and party from a class standpoint. For our work to have clearer results, what are required are the collective responsibility of the party organs with a long-term plan and creative, persistent control and the simultaneous allocation of suitable comrades who will enthusiastically contribute to this work. An aspect of the ideological-political reinforcement of the members of the party and KNE, their political circle of influence, is the publication of articles in Kommounistiki Epitheorisis, Rizospastis, Odigitis, as well as the publication of books and other print material. This includes theoretical works like the Origin of the Family, Private Property and the State by F. Engels, anthologies of texts on the woman question of Marx-Engels-Lenin, and recently the book of A. Kollontai "The woman question from primitive society to the contemporary world" (1925) The timeliness of these theoretical works and their usefulness is that they shed light on the class essence and historical basis of the social position of women. This is basically related to their position in social labour and consequently their position in the family-based on their special needs that arise from their role in the reproductive process- and the relations between the two sexes. They also maintain their importance today for women of a working class and popular class position or origin and for young women who are less well-informed on these issues. They are also important for the class awakened and active workers and employees in trade unions, students and salaried or self-employed professionals, and above all for the cadres and members of the KKE and KNE. Of course, the form of the double oppression of women, based on class and gender, today is not identified with that from the beginning of the previous century, as described in the works of theoretical and other representatives of the revolutionary labour movement. This is related to more general bourgeois rights (e.g. to education) and especially for women (e.g. family law, the extension of the bourgeois electoral rights).When we read certain positions or slogans that were used, we must examine them as they should be adapted to the current conditions. For example, even if the demand for electoral rights has been satisfied, this remains to a great extent a formal right, or more accurately one subject to the manipulation of capitalist power, for the majority of women, for those women who belong to the working class and popular strata. 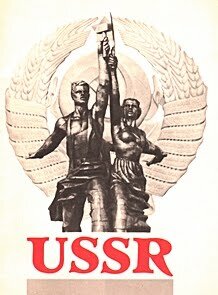 In the words, women workers, employees, self-employed and farmers can use the right to "stand for elections" only under the protection of the bourgeois parties, while they can only act in favour of their full social liberation by joining-directly or as allies- the revolutionary labour movement, the communist party. The same adjustment is required regarding the slogan that was used concerning the "liberation of women from their pots and pans». Today, due to the development of productive forces, the "slavery of the private household" has different technical conditions from what it had 100 years ago. In a very large part of the capitalist world, women do not wash clothes by hand in a tub or cook on a wooden stove. Of course these phenomena still exist even in the contemporary capitalist world, particularly in large swathes of Asia, Africa and Latin America. At the same time there also exist wretched conditions for women refugees, their children, even in European countries, like Greece. There are also the large numbers of homeless women, and men, due to unemployment and destitution. However, what is a general phenomenon in the capitalist world is the insecurity of the salaried woman worker-and self-employed- the lack of a stable work schedule on a daily or weekly basis, the intensification of work without women in essence being freed from the care and responsibility not only for the reproduction of her own strength, but also that of her children and often that of her unemployed husband or the survival of her parents who do not have social-security cover etc. Possibly, it may be considered unnecessary, in the contemporary conditions of the class struggle, even in the framework of the organized labour-people's movement, to carry out elaborated specialized work amongst women with a working class-popular socio-economic position or background in order to increase their participation in the anti-capitalist, anti-monopoly struggle. The fact today that a number of anachronistic obstacles have been removed in a formal-legal sense in relation to their right to education, family and inheritance law, the influx of women as a salaried workers in a number of sectors of the economy does not negate their unequal position in the framework of capitalist society, which is expressed by new forms in the contemporary conditions. The development of the productive forces, chiefly their capitalist expression, was what brought relative economic independence of women from men (according to the data of the European Union the percentage of employed women is an average of 63.5% of women in the EU who are able to work).However, this independence could not take on the character of real economic and social liberation in the conditions of the exploitative social relations. Capitalism has an interest in perpetuating inequality, as it is a source of additional profits, the increase of the level of exploitation and political manipulation. In the framework of the exploitative society, women's relationship with maternity is used in a reactionary way. The care of children, the elderly and disabled, the home, continues to be a private-family matter, with a particular burden for the women from working class and popular families. Women have not been freed from economic and social coercion, and nor have men. Such liberation requires the social and political revolution of the proletariat to establish revolutionary workers' power for socialist construction. All these things mentioned previously form the terrain that objectively impedes, delays the development of the political and class consciousness of women, their stable organized participation in the struggle. The crucial issue today is the reduction of the level of the demands, the chasm between the reduced demands and the increasing needs. The reduction of the level of demands is related to the lack of political experience, the lack of organization and the manipulation and intimidation of women in particular. Understanding these difficulties, the need arises for a long-term plan to build the CPs in the working class, with recruitment of women with a working class-popular socio-economic position or background. The contribution of the Section of the CC of the KKE with elaborated positions for salaried and self-employed women, farmers, young women on each issue that concerns popular women can be decisive in the party's efforts to recruit women, to develop bonds with the working class and people. We need to take into account what section of women we are addressing, both in terms of age and social-class position. For example, a number of monopolies in Greece are hiring staff on temporary and part-time contracts. The majority of workers on such contracts are women. The course of party building and the regroupment of the trade union movement in specific sectors (telephone centres, restaurants-tourism, food-beverage industry, finance sector, private healthcare etc.) and as a whole depends to an extent on the specialization of our political line for women workers and employees. This effort today is more demanding than before, as the exploitative system, through the bourgeois modernizations that has implemented in relation to the position of women, i.e. the legislation passed by its political personnel, the bourgeois governments, camouflages the contemporary problems faced by young women and the majority of women from the popular strata. All these bourgeois modernizations brought certain changes for women workers, employees and self-employed women. However, these changes took place under the impact of the gains which women had in the countries where socialism was constructed, under the pressure exerted by the struggle of the labour and women's movement. At the same time, however, they also served the needs of capitalist society. As capitalism was developing, it needed educated women in order to integrate them into capitalist production. At the same time, however, utilizing the existing difficulties of women to combine their work with their care of the home, the EU, governments and capitalist employers implemented flexible labour relations and part-time work for women in a mass way, something which did not meet with the required level of people's protests. Based on their own data, 76% of workers that work in part-time jobs in the Eurozone countries are women. This results in women having lower salaries than men and lower pensions. Why? Because they work in greater proportions as unskilled workers, because they work part-time, which means a part-time wage, social-security cover, half a life in essence. And also because they are compelled to stop working for longer periods during their working lives, having the exclusive responsibility for looking after children and the elderly. This time, they invoke the need for men to participate more in childcare, housework in order to impose labour flexibility on working men as well. A comprehensive discussion is taking place in the European Parliament, in the relevant committees about the so-called "paternity leave". There is particular interest about the participation of women in the so-called "Decision Making Centres" on the part of the imperialist organizations and alliances, like NATO, the IMF and the EU, as well as on the part of the monopoly groups. That is to say, they propose the increase of the percentage of women in the National Parliaments, in the organs of bourgeois power, in the boards of directors of companies. In this way, not only do they exonerate the capitalist system, but they foster the opposition between the two sexes, concealing the basic contradiction between capital and labour behind the polarization of men and women. The criterion for policies and positions is not gender, but what class interests are being served by men or women. Correspondingly, they are concerned about the participation of women in the leadership of companies. They bring forward as an example that wherever women are in charge there is a 6% increase of profits each year. Profits mean the intensification of the exploitation of the workers in the company, men and women. This entire discussion is the bait used to co-opt and manipulate young women university graduates in particular, who the bourgeois have the tendency to use a small percentage of. The bourgeois class in each country understands that it must form a leading group of women from the big bourgeoisie, which will promote its values and ideas, the ideology of the bourgeois class amongst women, concealing the different class interests which they (women from the working class and popular strata) have from the wives of their exploiters. At the same time, they seek to implement a compromise in the jungle of labour relations that exists today. For example, an article in MANPOWER invoked the ability of bourgeois women to work with a more flexible work pattern, which does not require their actual presence in the workplace and could be a management role. This is not a problem of course for businesswomen but for young women researchers, salaried professionals, specialized workers, who are being deprived of even basic rights related to the protection of maternity, vacations, benefits. But for a researcher who is a mother, who will leave her child at home to carry out sociological research, not just library based research, to spend time in the labs, when social infrastructure like nurseries provide minimal or expensive services. In this sense the phenomenon of the "glass ceiling" still exists. But there are many ways to "hide" the root, the class root of all the contemporary forms of women's inequality, which are exceptionally dangerous for the struggle of men and women inside the labour-people's movement on the basis of their common class interests. For example, the view that says that women's inequality is a product and creation of the mindset of men and concludes that women should see their husbands, brothers, fathers and male colleagues as their opponent and not the system that creates inequality, poverty, unemployment, insecurity for them and their families. These theories and corresponding political practices present as a source of the unequal position of women the specific character of the biological functions of women and the differences between the two sexes. They present them as an issue of mindset, behaviour, a result of patriarchal power. They consider that views and ideas create social problems, including the problems related to the woman question. In reality, ideas are created on the basis of the material relations of people and reflect them. Finally they come to the view that legislative initiatives can deal with gender discrimination. The KKE does not at all underestimate the state, education, the church, the mass media, social policy which legitimize inequality in the framework of society. The fact that mistaken views on the position of women in the modern capitalist world are reproduced not just via the stance of the employers in the workplaces, but via the stance and behaviour of men in the organs of the bourgeois state, via the mass media, education, religious doctrines, does not negate the fact that the source of women's inequality is the division of society into exploiters and those who are exploited. 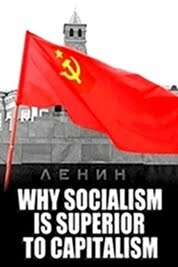 On the one hand, extremely anachronistic and reactionary views are being reproduced that survive up until today, especially in more backward societies or in conditions of a prolonged capitalist economic crisis and mass unemployment. They want women tied to the private household, to have maternity as their main role, far from social production and social activity. At the same time, bourgeois propaganda in our period, in the name of alleged "freedom" reproduces theories that even include irrational views about procreation and childbirth. The theories about social gender present the role society allocates to its members as a social construct, a language construct. These are views that in certain instances go as far as not recognizing the gender differences between men and women as being an objective fact, turning reality on its head. They do not accept that there is a biological basis for the attraction between women and men so that the sexual act can be realized, they argue that attraction has an exclusively social root cause. The main thing is that they absolutize individual experience as the source of knowledge at the expense of social experience and understanding and social reality. They do not think that language reflects reality, but that language constructs reality. They say that identities are constructed through speech. They deny the existence of objective reality, which exists independently of human understanding and is reflected by it, for examples, in experiences and language. The word, for example, is more than a simple symbol. It is not just a contract so that we can understand each other. It has a material basis and is connected to objective relations and reflects their historical character. When we name something, we do so because it already exists and not in order to create it. Correspondingly, the meaning expresses the objective relationship of an individual with the world, despite the fact that it is created subjectively. In this way, they distort the class and gender oppression, as a consequence they negate the specific social needs of women that arise from their role in reproduction. This is how they hide that the problems in relation to the two sexes-communication, behaviour-have their roots thousands of years ago, in the first class society. As long as the private-capitalist ownership continues, individualism and competition, the egoistic lifestyle, will be reproduced and this also influences the working class, popular strata and ruins social relations, the relations between the two sexes, personal relationships. The capitalist profit motive operates as an economic incentive via the institution of the family itself, reproducing economic, social and cultural forms of coercion. The economic relations of parents with their children are what define it, also from a legal standpoint, in capitalist society. The organization of the struggle against these theories- and the political practice based on them-together with the programmatic elaborations of the CPs, using the positive and negative experiences from the class struggle, socialist construction in the 20th century, can raise our efforts to a higher level in the ideological, political, mass struggle, in the organization of women in the labour and women's movements and the people’s movement more generally. We should take more decisive steps as CPs to develop the party with working women, women from the popular strata, especially young women, and also to promote them to the party's organs. The importance of the specialized activity of the labour-people's movement amongst women, the experience of the independent women's movement must be highlighted. The KKE, together with KNE, seeks to utilize the experience of how the KKE opened the way for women's participation in the social-political-class struggle, in the trade union movement and radical women's movement. It will do this through many types of activities in the run up to 2018, when it will celebrate its 100th anniversary. 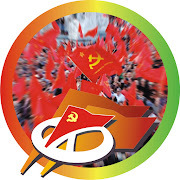 We must highlight the important experience of our party's efforts in working with working class women, in elaborating political goals for the mass movement and struggle of working women, self-employed women, workers in the informal sectors, for example maidservants in the past, home-based workers and cleaners. The communist women and those allied to the KKE participate in the women's organizations, whose orientation and activity is defined on the basis of the class character of the woman question. We are referring to the associations and groups of the Federation of Greek Women (OGE).Women from the working class and popular strata participate in the women's associations, irrespective of their political preferences. Workers, unemployed, self-employed, farmers, young mothers, students, pensioners, immigrants are rallied in OGE. In addition, there are still women who are only engaged in housework. Some of them participated in the movement before. However, some came into contact with the collective, radical activity through the associations and groups of OGE in their neighborhood. The communist women that participate in the radical women's movement are attempting to elaborate the content and forms of activity, the militant demands, which can contribute to rallying more women of a working class-popular socio-economic position or background, to awakening their class consciousness. These elaborations also assist to stir the organs of the labour-people's movement so that they develop similar specialized activity to increase the level of women's organization. There is even the danger of class conscious women approaching the woman question as completely integrated in the labour-trade union movement, as women and men are found together in nearly every sector of industry, every sector of social labour, in the sectors of state administration and they participate or can participate in the relevant trade union organizations. Communist student women are also endanger of having this one-sided thinking as they no longer experience the gender separation in secondary education, as was the case in the past, or gender-based barriers to higher education. It is a fact that today at least the class-oriented trade unions have the demand for "equal pay for equal work" in their statements, i.e. the equality of men-women in the regime of capitalist exploitation. However, in practice they find it difficult to examine specifically how the "equality" of the level of exploitation of men and women is "violated" by the capitalists and their states or why in reality the female labour force as a commodity has a lower value than that of men, e.g., the greater percentage of women in the lowest paid jobs, the restrictions due to pregnancy, greater participation in work with flexible labour relations etc. At the same time, the majority of the executive committees of the trade union federations, integrated into government and employer led trade unionism, in the name of "equality" supported the reactionary measures of the government and employers at the expense of salaried women e.g. the increase of women's retirement age to the same age as men, the abolition of the ban on night shifts for women or the limitations on their exemptions from it etc. A general problem for the class-oriented trade unions, federations, labour centres, which are today rallied in PAME in Greece is the very low participation of women in the executive committees, even in sectors where there are a lot of women workers. Even the fact that there has been no serious study of women's participation in the organs of the trade union movement is an expression of the lack of understanding concerning the contemporary forms and dimensions of the woman question. The efforts being made in recent years for joint activity of women's associations with working class and popular organizations with an antimonopoly line of struggle has helped to strengthen the orientation on the content and forms of this specialized work. 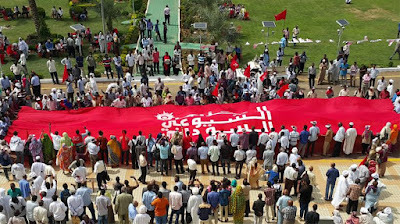 We are referring to the joint organization of militant initiatives regarding dismissals of pregnant women by companies, the working conditions of salaried women, as well as issues that concern the working class-popular families as a whole: maternity, healthcare, increased need for preventive medicine for the female organism, education, welfare, sports, culture, refugee-immigrants, violence against women etc. The most complex issue is the patient work to strengthen women's initiatives in the movement, to deepen the agreement on the line of march in an antimonopoly-anticapitalist direction. 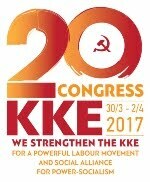 Section of the CC of the KKE for the Equality and Emancipation of Women. SEMINAR IN ATHENS: “Women’s inequality in the EU and the rest of the capitalist world. The struggle of the communists”. On the 10 and 11 November 2016, in Athens, the seminar on the theme “Women’s inequality in the EU and the rest of the capitalist world. 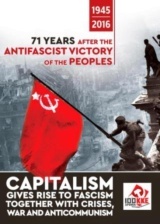 The struggle of the communists” takes place, hosted by the KKE delegation to the European Parliament.. This seminar aims to open up a discussion amongst the CPs for the necessity and the content of specialized work amongst women, as, despite the significant participation of women in wage labour, there is not the corresponding participation in the labour and trade union movement, even more so in the communist movement. 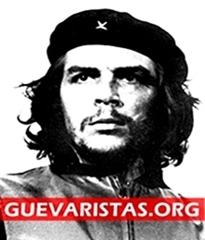 The discussion will engage with the ideological and political intervention of the CPs concerning the woman question in the contemporary conditions of the sharpening of the offensive of the bourgeois governments, the EU and other imperialist inter-state unions, of the bourgeois classes in every country. In addition, the specialization of work amongst women contributes to the building of the CPs in the working class, to strengthening their militant bonds with it, the popular strata and youth, and how this is expressed in recruitment. There will be an exchange of views about the intervention in the radical women’s movement, i.e. the women’s movement with an antimonopoly-anticapitalist orientation, and also in the labour and trade union movement. 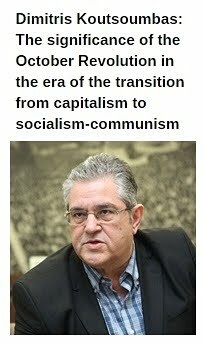 The seminar will be opened by the MEP of the KKE, Sotiris Zarianopoulos. Eleni Bellou, member of the PB of the CC of the KKE, deliver the introductory speech.